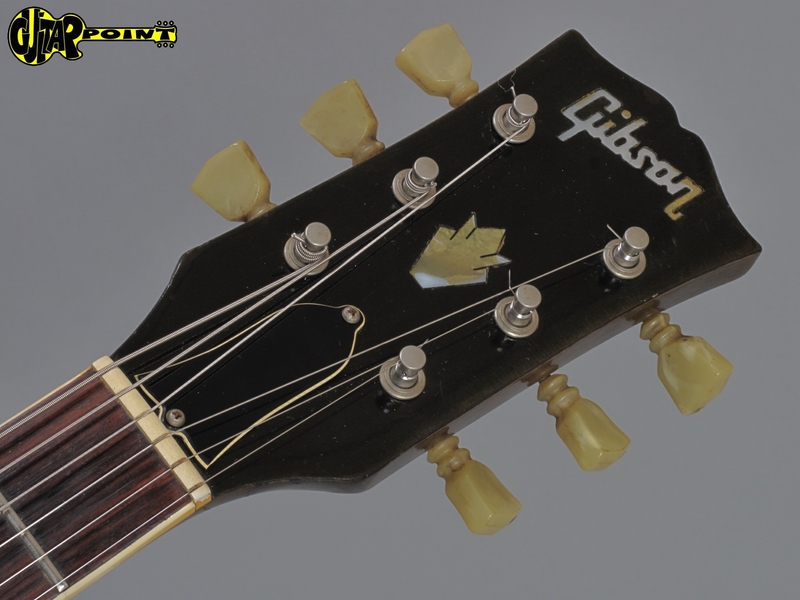 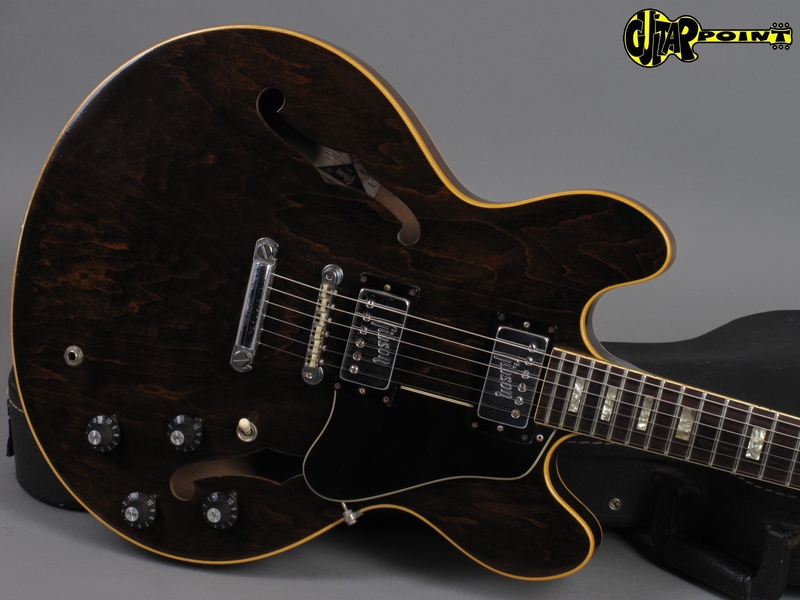 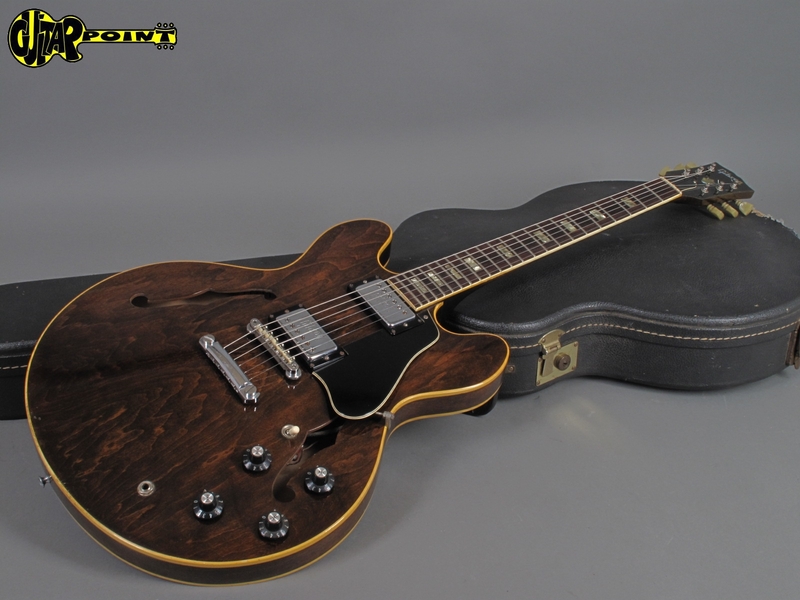 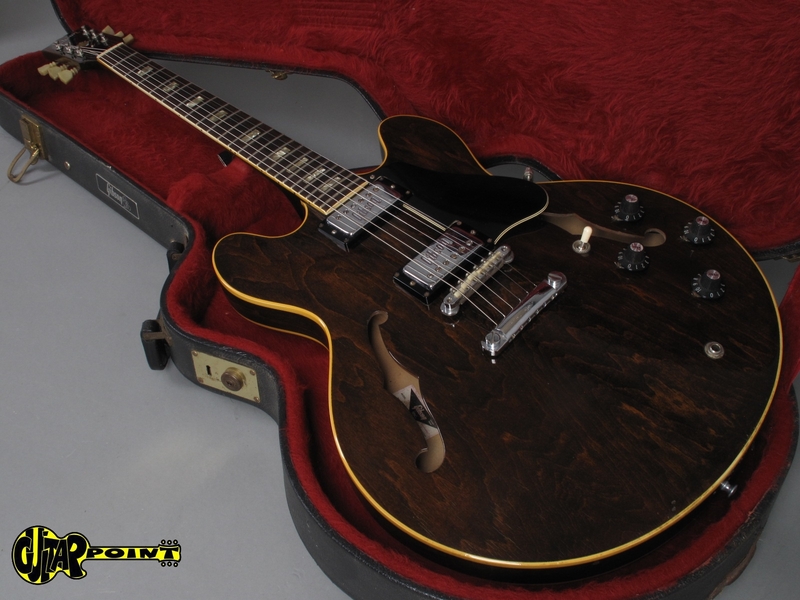 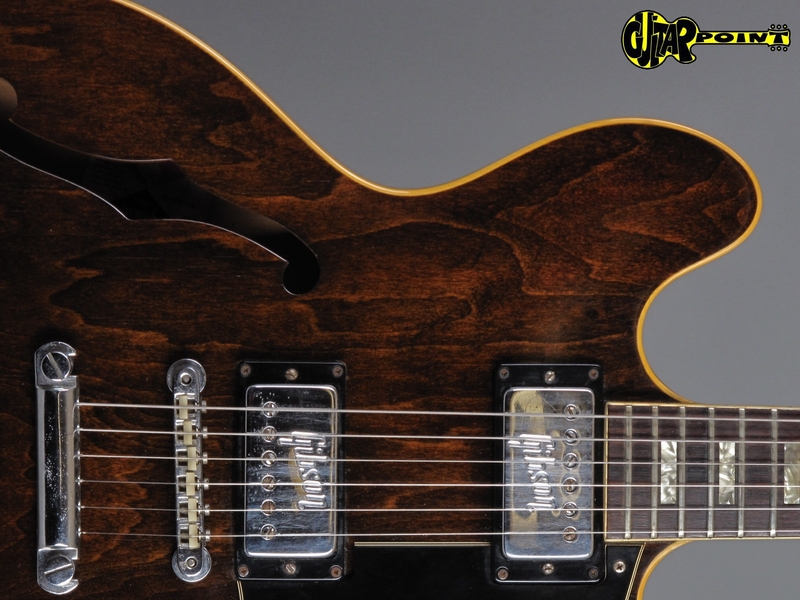 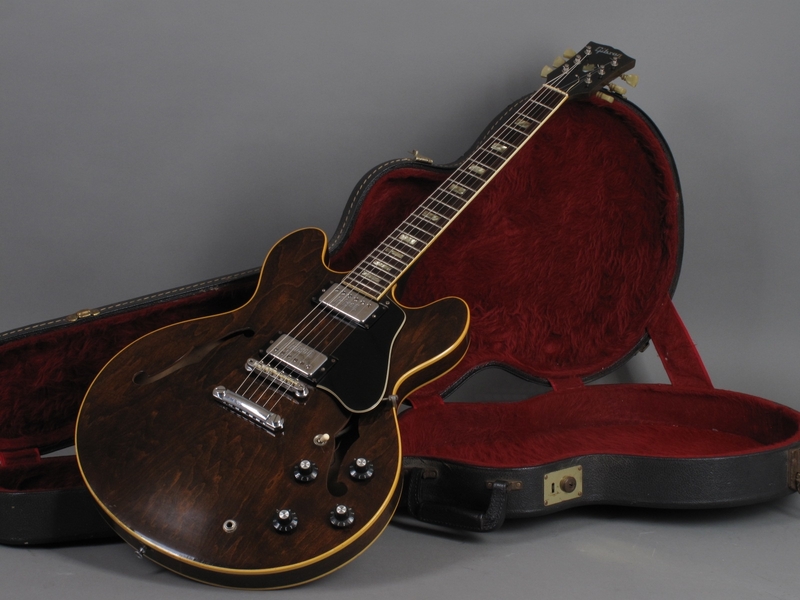 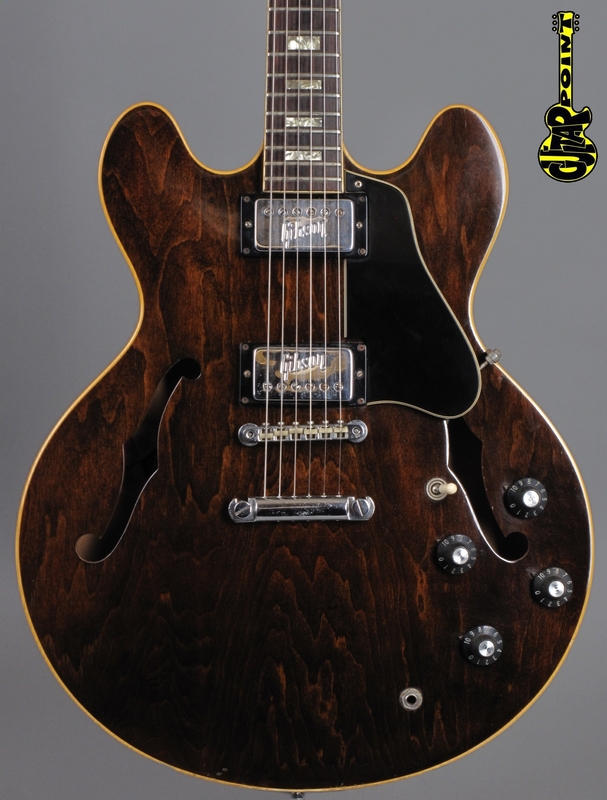 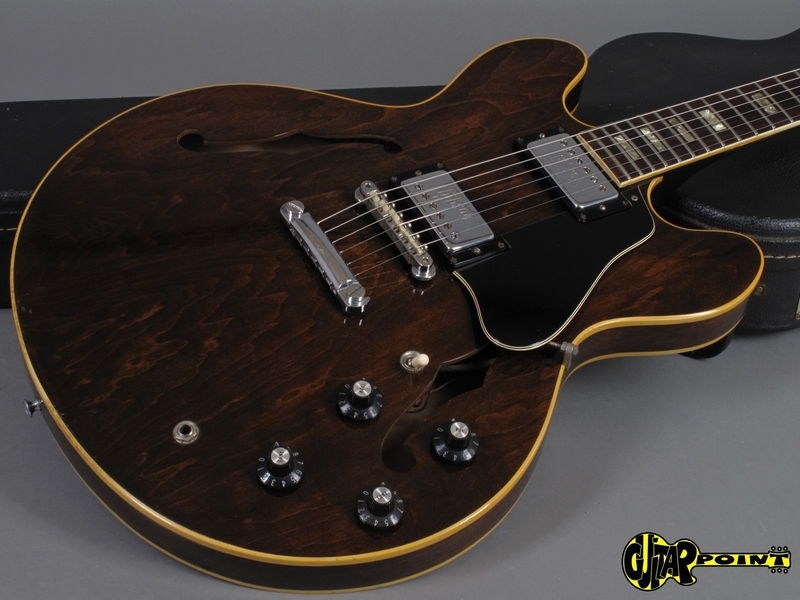 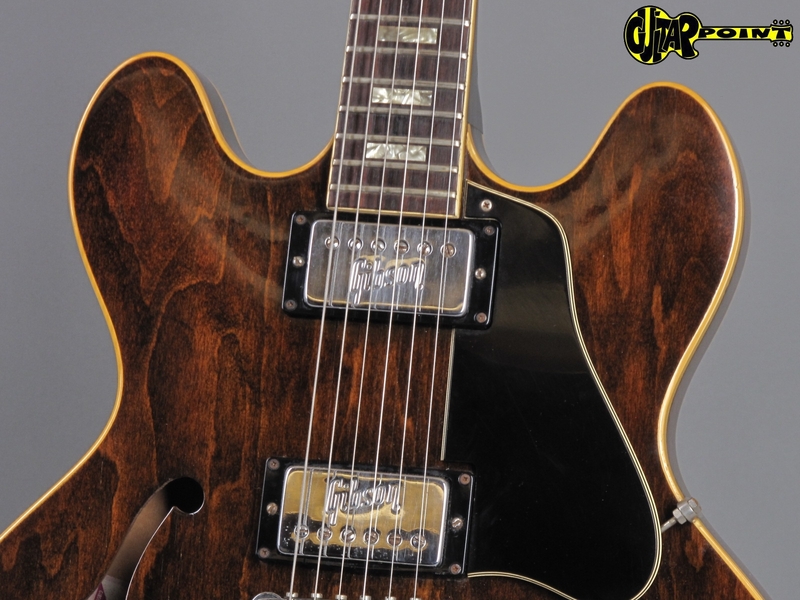 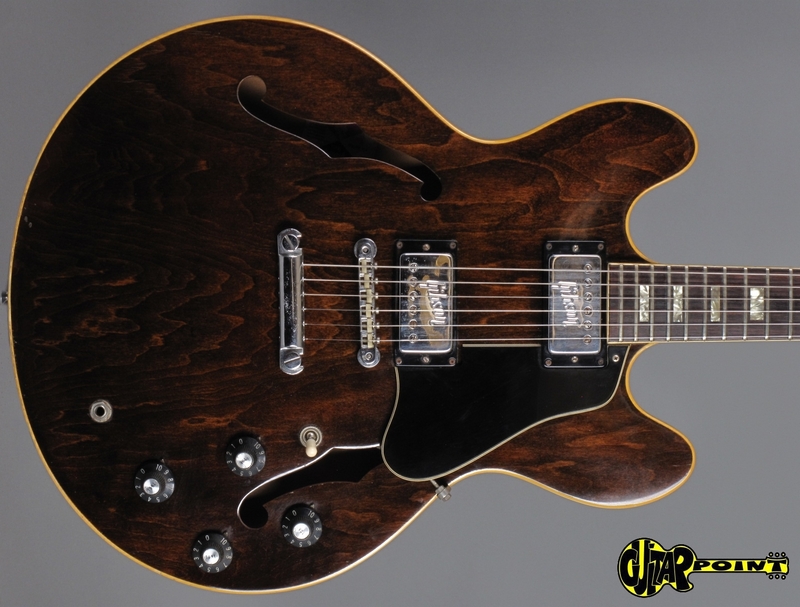 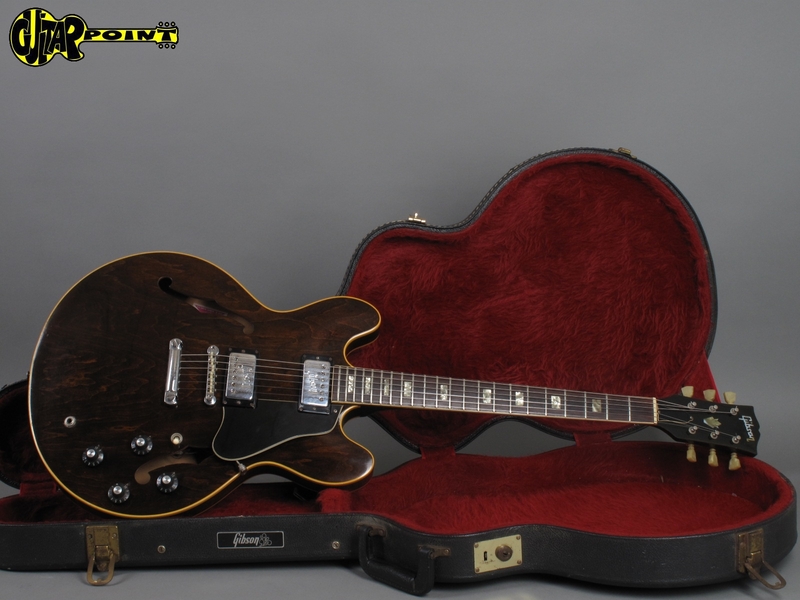 Super clean 1972 Gibson ES-335 TD in Walnut finish, all original except for a pro-stoptail-conversion and in excellent+ condition for its age. 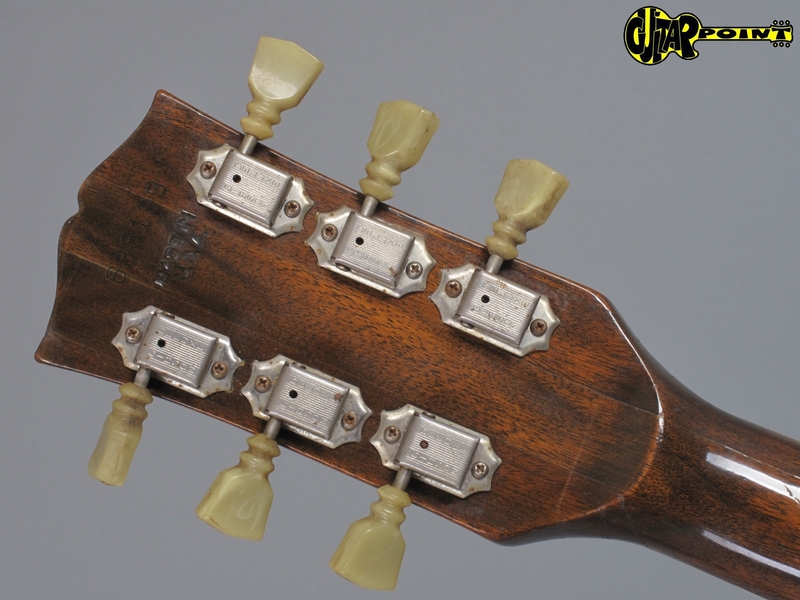 Only some very minor playwear, no weatherchecking, no repairs. 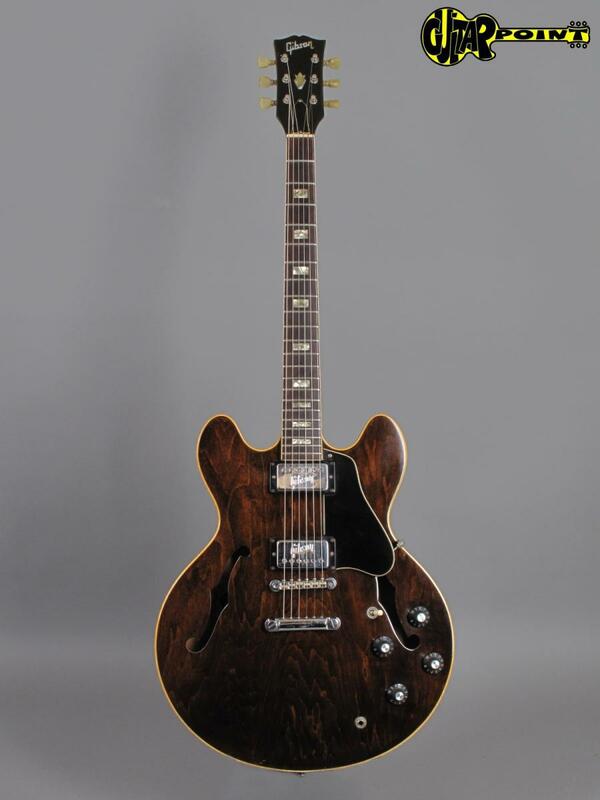 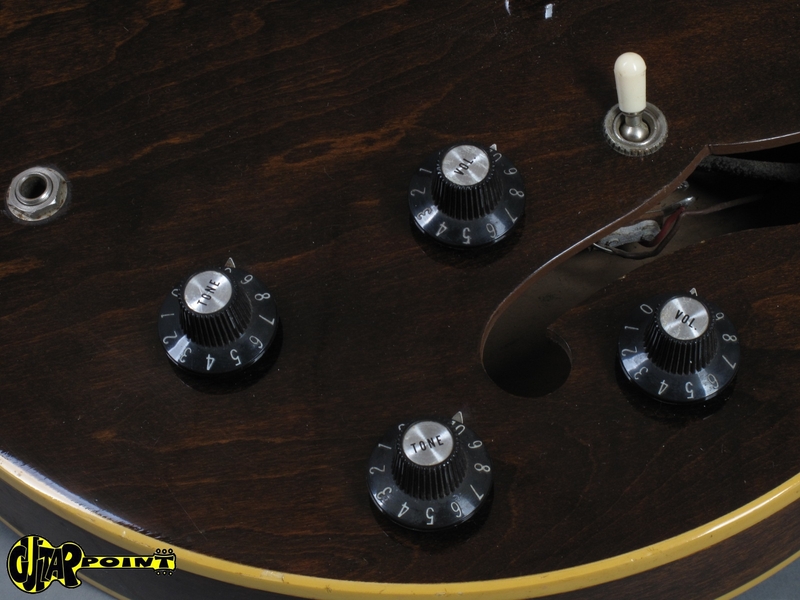 The complete electronic is untouched and original, with all 4 pots dating to 1972, it also has the desirable "Gibson-embossed" pickup-covers they only made in a short run in 1972. 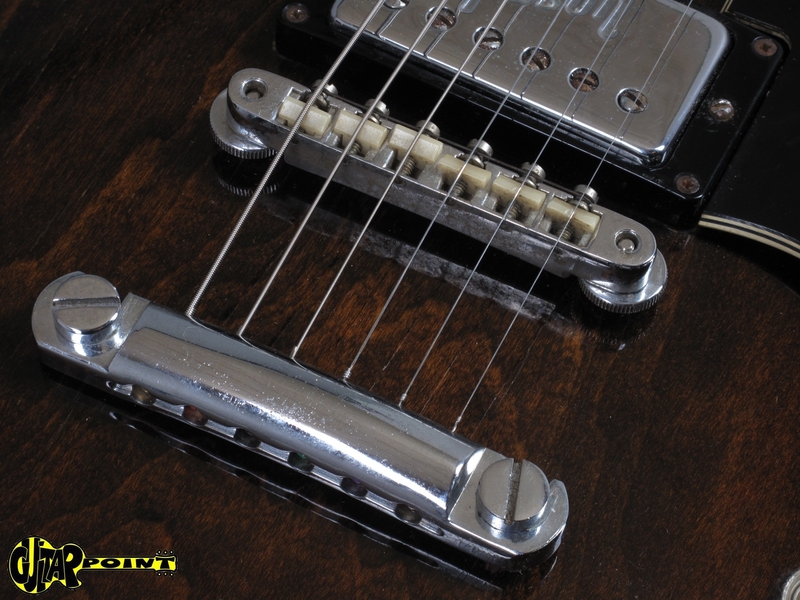 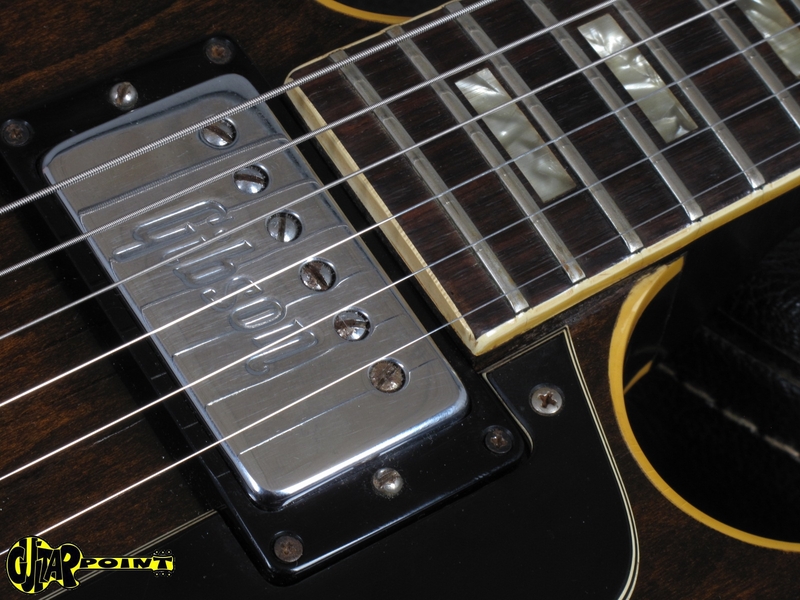 Both pickups are the original Gibson "Pat.-Number Decal" Pickups with well balanced outputs of 7,55K and 7,60K. 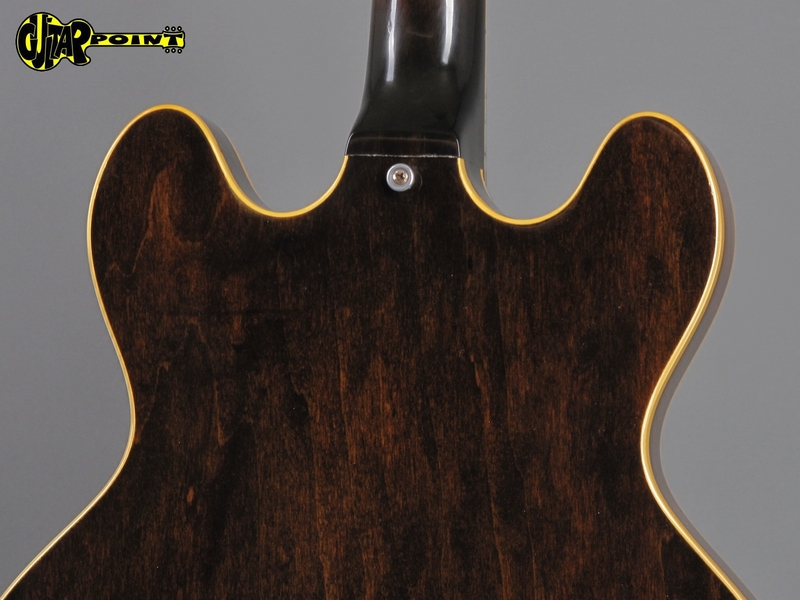 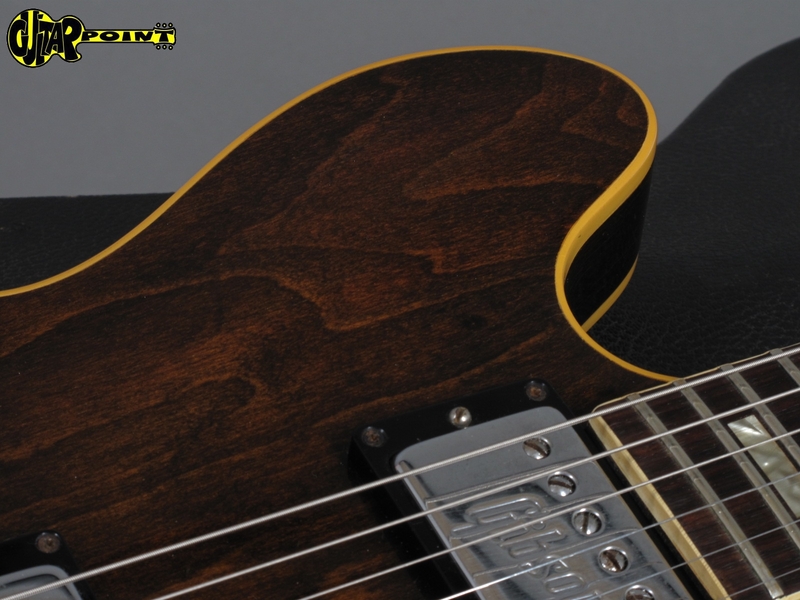 The guitar sounds great, lightweight with only 3,59 Kg and the medium-sized D-shape neck is very comfortable to play. 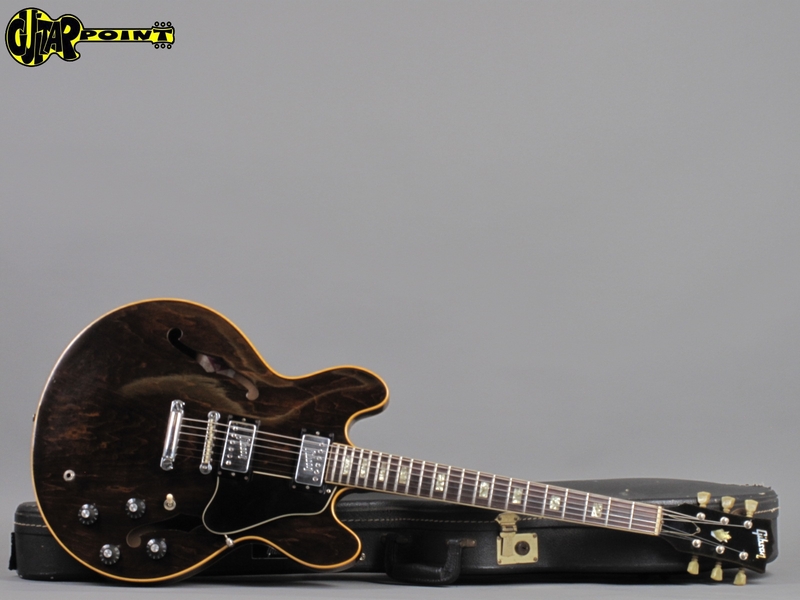 Comes in black Gibson hardshell-case with maroon lining. 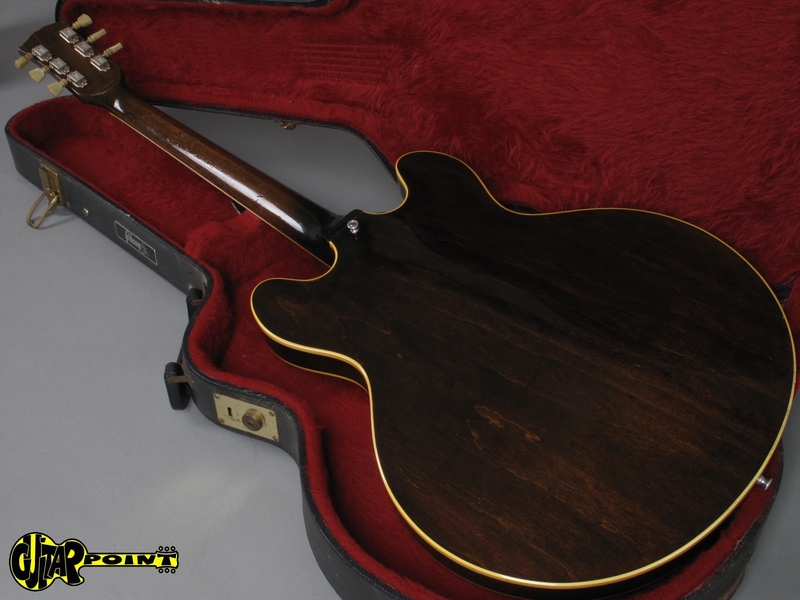 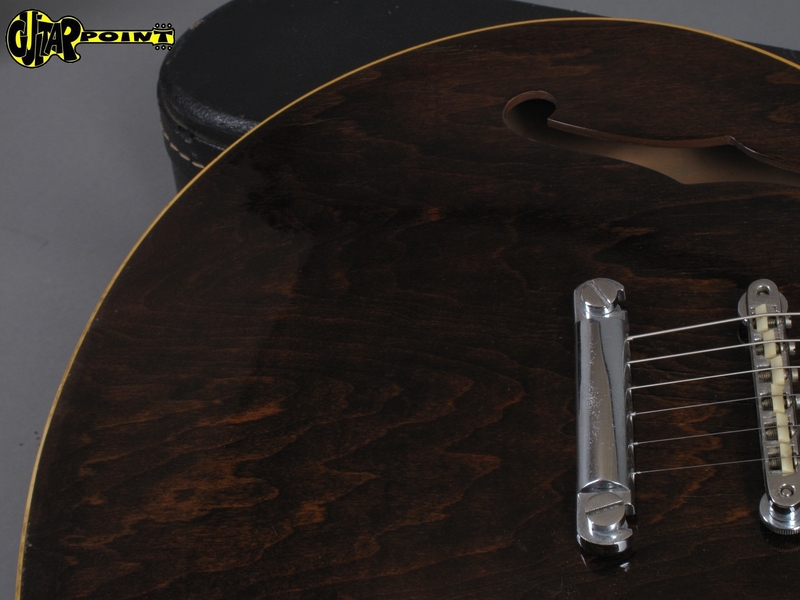 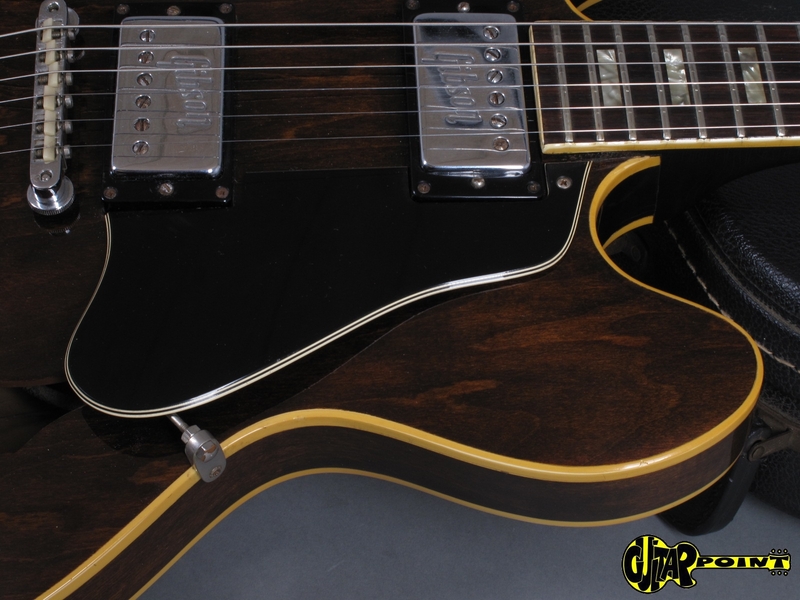 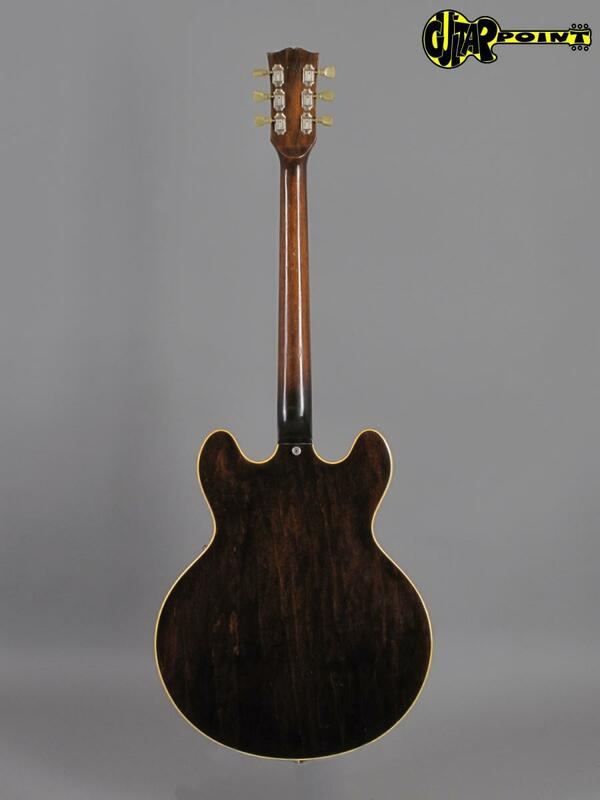 Original black Gibson hardshellcase w/maroon lining.